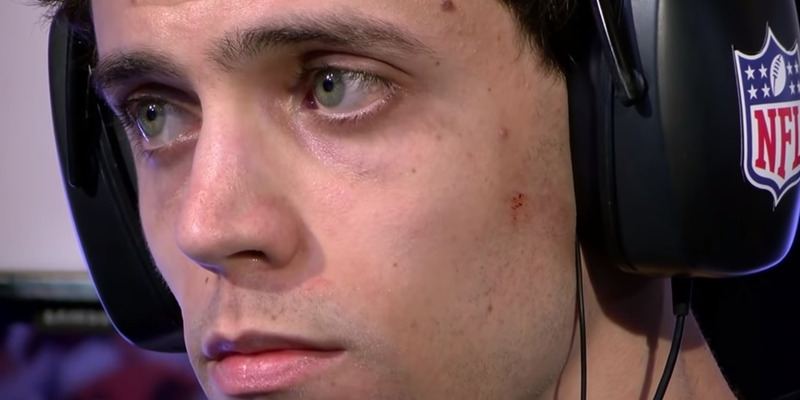 Youtube/Compton187Jacksonville shooting suspect David Katz during a tournament in 2017. Three people, including the gunman, died after a mass shooting at a gaming tournament in Jacksonville, Florida, on Sunday. Police confirmed the identity of the suspected shooter as 24-year-old David Katz from Baltimore, Maryland. Police are unclear of Katz’s motive and whether he knew any of the victims, who have not yet been identified. A competitor at Sunday’s tournament told the LA Times on Sunday that the shooter was a participant who had been disqualified earlier in the day, but authorities have not confirmed the testimony. Authorities identified 24-year-old David Katz as the suspected gunman in a mass shooting at a live gaming event in Jacksonville, Florida, on Sunday. Three people, including the gunman, were killed in the shooting, and 11 more were injured. Police said the shooting occurred around 1:30 pm during a livestream tournament of the new game Madden NFL 19, hosted at the Good Luck Have Fun Game Bar at Jacksonville Landing, an outdoor mall. SWAT teams conducted sweeps of the premises and found three dead at the scene, including Katz, who police said died of a self-inflicted gunshot wound. Police found Katz’s vehicle near the scene of the shooting, and believed he had been staying at a nearby hotel. Authorities in Baltimore, Katz’s hometown, are assisting with the investigation. Jacksonville police are unclear of Katz’s motive, and whether he knew any of the victims, who have not yet been identified. Police said Katz used one firearm, and it remains unclear whether the gun was legally purchased. He appears to have won the the Madden Bills Championship in 2017. During a YouTube livestream of the 2017 tournament, announcers said Bread did not show “much emotion” during his matches. “You can’t even get him to open up about anything, it’s like pulling teeth,” the announcer added. A competitor at the 2018 Jacksonville tournament told the LA Times on Sunday that the shooter was a participant who had been disqualified earlier in the day, but authorities have not confirmed the testimony. A recording on the live stream platform Twitch shows two competitors playing the game before what looks like a red laser appears to point at one of the competitor’s sweatshirts. The stream then ends abruptly as gunshots are heard. WARNING: The sounds in the video may be disturbing for some. Drini Gjoka, one of the two competitors shown in the live stream, tweeted following the event. Another competitor, identified by classmates to the LA Times as Elijah Clayton, was also seen in the Twitch livestream. He is widely known by his nickname Trueboy. On Saturday, Clayton tweeted that he had “won every game” and was waiting for the singles match. “This is a horrible situation, and our deepest sympathies go out to all involved,” EA Sports, the makers of the Madden NFL game, said in a statement.